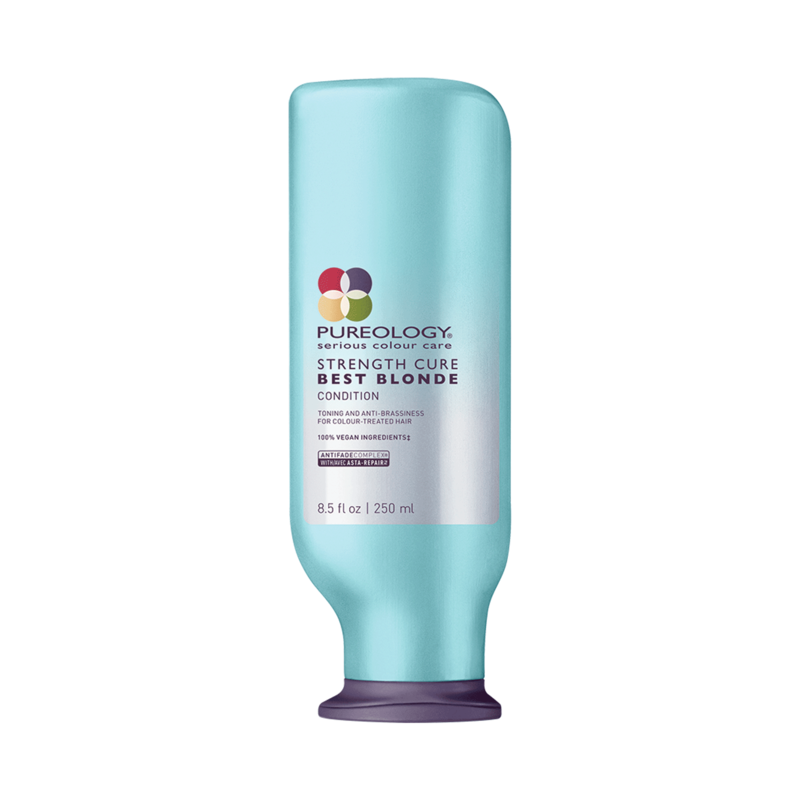 Created with violet toning properties, the Strength Cure Best Blonde Conditioner instantly conditions, detangles and tones all shades of color-treated blonde, highlighted and lightened hair. Formulated with the Strength Cure Asta Repair™, this toning conditioner for blonde hair moisturizes and restores hair by strengthening from root to top for shiny, moisturized hair. Plus, our exclusive AntiFade Complex protects against heat damage and keeps highlights bright and vibrant while refreshing brassy, yellow tones. After Strength Cure Best Blonde Shampoo, massage the toning conditioner into hair and scalp. Wait 1-5 minutes (see chart below). Rinse. In case of contact with eyes, rinse them immediately.